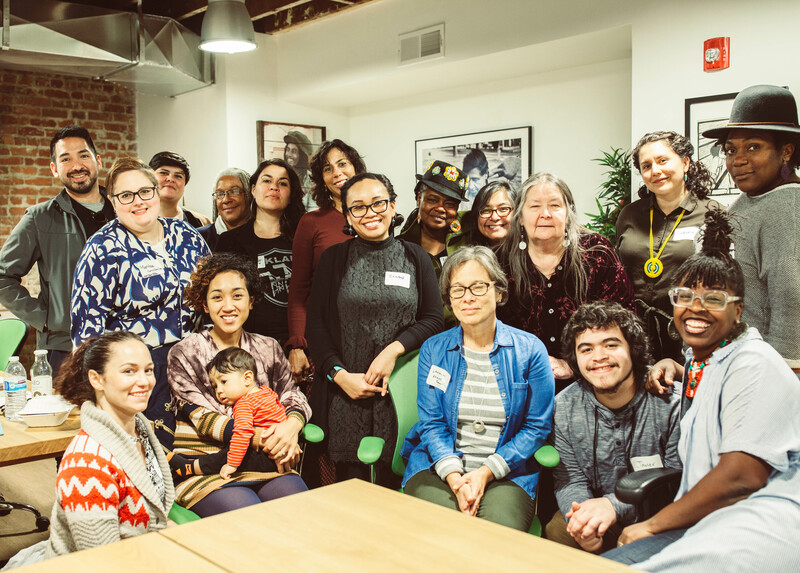 We are excited to announce the launch of BOOST: the Beloved Community Fund’s Organizational Strengthening Pilot, which will support under-resourced arts and cultural organizations serving low-income communities of color in Oakland. In this pilot, funded in part through a grant to Akonadi from the William and Flora Hewlett Foundation, five Oakland-based organizations received a total of $100,000. The program will run for two years. 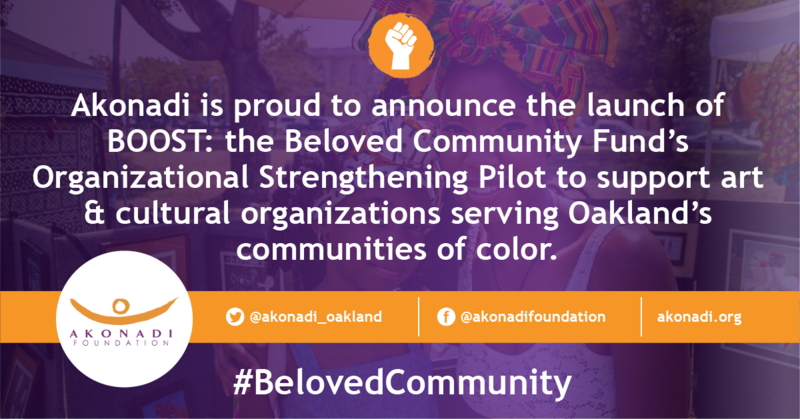 The Beloved Community Fund, one of Akonadi Foundation’s grantmaking program areas, advances racial justice in Oakland by supporting free public art and cultural events that celebrate and are rooted in Oakland’s communities of color. Since 2013, Akonadi has awarded $1.8 million through the Beloved Community Fund to over 260 organizations, prioritizing community arts and cultural groups that have limited access to institutional funding and focusing on event- and project-specific support. Through the pilot initiative, five grantees have received technical assistance and capacity building support to sustain and grow their work. BAY-Peace, a youth-of-color-led organization offering holistic leadership programs that integrate performing arts, healing, personal transformation, policy advocacy, and community organizing as tools to engage Oakland youth, equipping them with the knowledge and support necessary to tackle community issues and become change-makers. Intertribal Friendship House, founded in 1955 as one of the first urban American Indian community centers in the nation, which helps to keep urban Native people connected to their culture and traditions through powwow dance, drumming, beading classes, and many social gatherings, cultural events, and ceremonies. Oakland Public Conservatory/Music is eXtraordinary, a music education and events production organization providing conservatory-quality music education for people in urban areas. Somos Familia, a volunteer-run organization established in 2007 to create support and acceptance for Latina/o/x lesbian, gay, bisexual, queer, or questioning youth and their families. Studio Grand, a non-profit multi-use space that supports local families, youth, and emerging and established artists by hosting a mix of music, performance, educational, visual art classes and events. Studio Grand’s programming centers leadership and programming for historically marginalized communities including people of color, immigrant, and LGBTQAA communities.